David Greenwald, blog editor for the L.A. Times’ Brand X reviewed Shuffler.fm, a way to listen to songs by visiting the blogs they appear on. 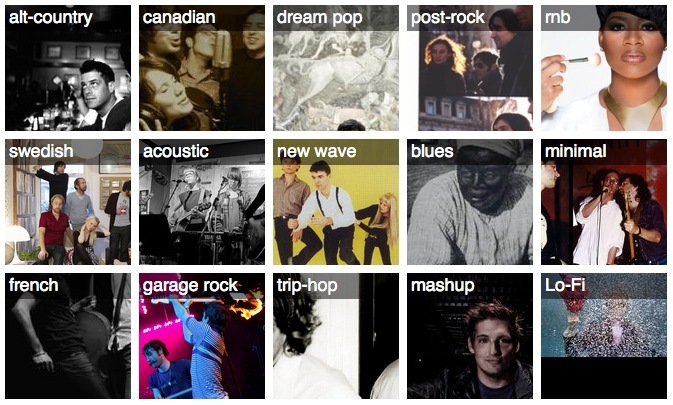 The landing page presents a list of genres. Once a user chooses his or her own adventure (at present, anything from hip-hop to lo-fi to singer-songwriter), the site shifts to an appropriate blog post, with Shuffler.fm displayed as a toolbar streaming a randomly chosen track. Users can click forward and back, jumping from song to song and blog to blog, where the songs being streamed can generally be downloaded as MP3s. The songs are sorted into genres by filtering them through Last.fm, itself a dependably accurate, if broad, user-powered music-listening and statistics hub.